Byzantine Catholic? What Does That Mean? Recently we had a visitor at Vespers on a Saturday evening at my parish. It’s not one of our well–attended services, so a visitor’s story is usually interesting. When I introduced myself to this woman afterwards, she thanked me for letting her attend as she had thought she was coming to a Catholic service. I tried to assure her that we were Catholics, just Byzantine Catholics. “What does that mean?” she asked. I tried to explain, but I don’t think I convinced her we were quite legit until I told her I was the Academic Dean at the Roman Catholic seminary down the street. We give you thanks, O invisible King, for by your immeasurable power you have fashioned all things, and in the greatness of your mercy have brought all things out of nonexistence into being. Look down from heaven, O Master, upon those who bow their heads to you, for they do not bow to flesh and blood, but to you, the awesome God. Holy God, dwelling in your heavenly sanctuary, praised by the seraphim with the thrice–holy hymn, glorified by the cherubim, and adored by all the heavenly powers, you brought all things from nonexistence into being. You created us in your own image and likeness and adorned us with all your gifts, giving wisdom and understanding to those who ask, not despising those who sin, but establishing repentance for their salvation. You have allowed us, your humble and unworthy servants, to stand at this very hour before the glory of your holy altar to offer you due worship and praise. The emphasis on mercy may not be the only strange thing that you would notice in a Byzantine liturgy. The music with which the liturgies are sung echoes from traditions as old or older than Gregorian chant. Russian and Ukrainian polyphony are usually the easiest on Western ears. But in Melkite, Maronite, Armenian, and Coptic rites, as well as the Syrian rites of India, the music is so exotic by Western standards that it may take a while, even for one who finds it immediately attractive, to acquire sufficient taste for it that it becomes a natural atmosphere for prayer. There are other unexpected things to be seen at a Byzantine Catholic liturgy: communicants receiving the precious and holy Body and Blood of Christ on a spoon; infants receiving communion; communion being given by a married priest. There are long, thin tapers being lit before icons of ancient pattern that are sometimes alienating in their austerity and lack of linear perspective. There are elaborate, brocade vestments and funny hats. Not everyone is comfortable being surrounded by a new world of religious symbolism; but for a few it is heaven on earth. Some Catholics over the centuries have valued liturgical ritual and tradition primarily for their unifying and universalizing effect. Unity, for them, is strengthened by uniformity and weakened by diversity. A friend of mine, after I took him to a Byzantine service, said, “I am glad that there are different rites in the Catholic Church. I just think it’s better if they never meet.” For him, the challenge of submitting one’s prayer and interior life to a common universal form of thought and worship was one of the primary spiritual benefits of being a Catholic; a knowledge of the differences among rites could undermine the will to conform to the disciplines of one’s own. Similarly, for others, Catholicity means being able to walk into any Mass in any Catholic church in any country of the world and feel at home. Be that as it may, the Second Vatican Council took the risk of embracing a vision of Catholic unity rooted in the complementarity of ancient apostolic ritual diversity. Where Eastern Catholic churches had abandoned their distinctive liturgical practices and adopted Latin ones, they were encouraged to return to their own authentic traditions. They did so not as museums for curious antiquities, but as living parts of the universal Church that serve the unity of the whole Church when they preserve the integrity of their traditions and adapt them to the needs of new times and places (see Decree on the Catholic Churches of the Eastern Rite, 2). As the peoples of the Old World have been displaced to the New, the old ethnic boundaries of the Eastern churches have become permeable. Most of the flow of people of the Eastern Catholic churches has been outward into the Roman Catholic parishes. 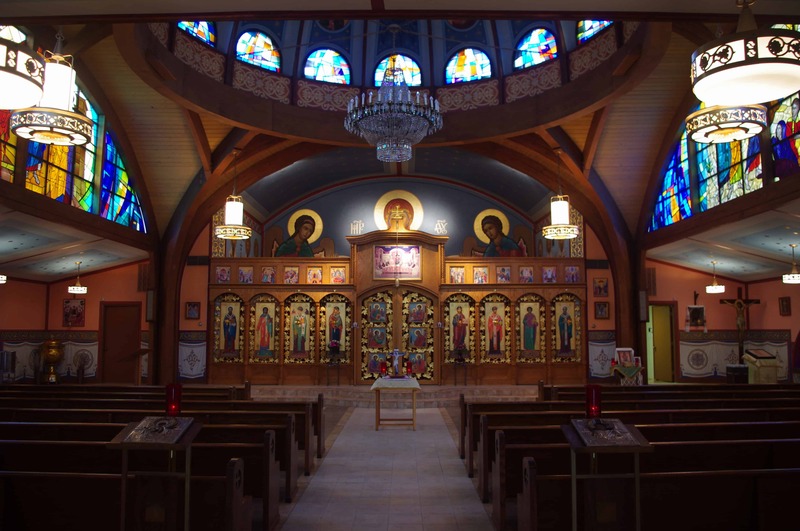 But occasionally the flow moves the other way, as it did for my wife and myself, who, after nearly a decade of finding ourselves visiting Byzantine Vespers more and more often, realized that this was our Catholic home. Fr. Joel Barstad was raised in the Scandinavian Lutheran tradition where he developed a love for sung liturgy and the richness of a liturgical calendar. As a result of his encounter with the writings of the Greek Fathers during college, he and his wife Leslie were led into the Catholic Church in 1985. The fascination with the Christian East drew them further in until they decided in 1994 to make the Byzantine Catholic Church their canonical home. Since 2002 he has been a full-time faculty member at Saint John Vianney Theological Seminary. In October 2018, Fr. Joel was ordained a Byzantine Catholic priest. I thought the divine blessing said by the priest and the prayer that followed were quite beautiful. Thank you for this very informative blog!